This morning’s sermon from Prof. Judith Lieu is now available to listen to using the player below, or please click here to download the MP3 to listen later. 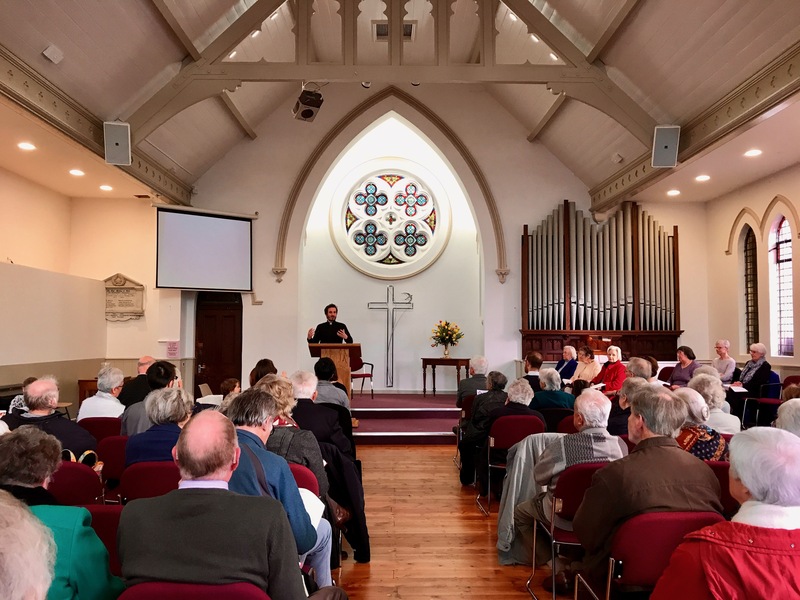 Our church building has re-opened after many months of work and this morning we were delighted to be able to worship together in the newly refurbished building for the first time. The building looks fantastic, and we are particularly pleased with our new cross, created for us by local artist Jayne Ruffell-Ward. We look forward to many more years meeting together in this building, and hope it will be well used by the church and the wider local community. The next phase of the redevelopment, including a new porch, is now in progress. For our first service in our newly refurbished building, we welcomed Rev Bruce Waldron from Sawston Free Church to preach – and sing – to us. You can listen to his sermon and the song he performed using the player below, or click here to download the MP3 to listen later. Our February newsletter is now available. Please click here to download the PDF. The Roost is an event I lead at the Cottenham Community Centre Coffee Shop on the third Sunday of every month, usually from 3-4:30pm. It is a mixture of arts, crafts, games, music, videos, poetry, and more, plus coffee, cake and conversation about life and faith. Please click here for our November 2017 newsletter. A very simple thought this month: Let’s pray! This morning, Rev’d Dr Brian Beck invited us to reflect on the life and legacy one of our church’s founding fathers, Richard Matthews, and what it might mean for us as we continue to worship in the building named for him, the Matthews Memorial Chapel. You can listen to his message using the player below, or click here to download the MP3.